I’m participating in the #SimplySassySnaps Photo-A-Day Challenge and today’s theme is Drinks. The only beverage I really drink is coffee and water. I love my Timmies, but I also enjoy making a cup of coffee at home. 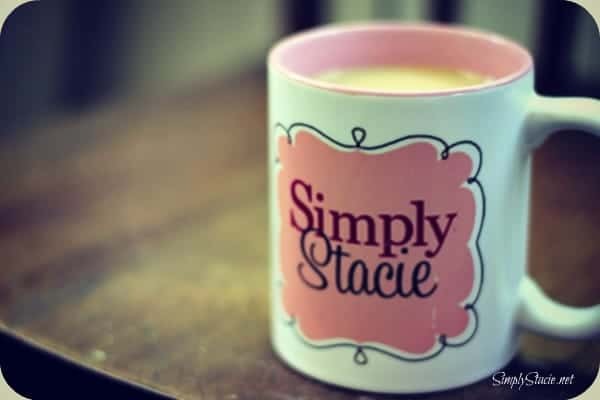 I have a Simply Stacie mug I bought John for Christmas and I end up using it more than him! Check out my Day 1 post for the challenge!